I like that back tray, looks great. 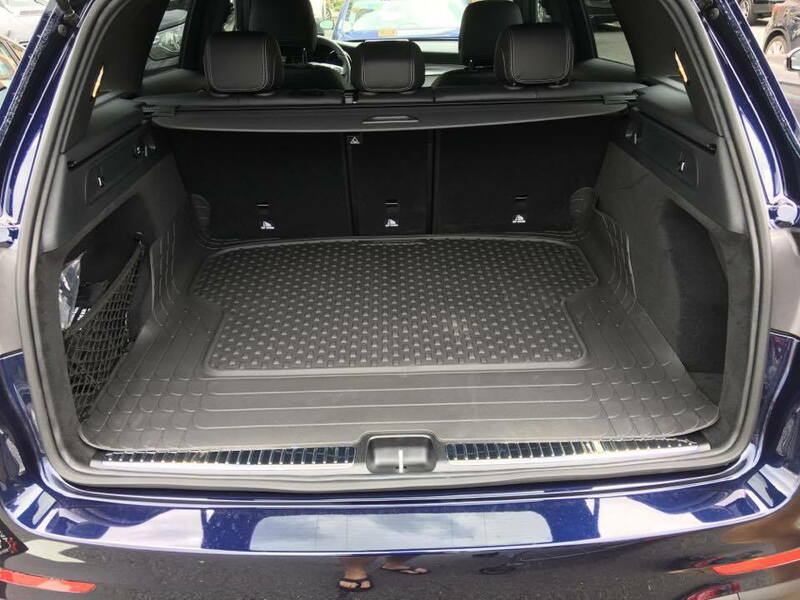 Forgot to bargain for the mats when I bought the car, but called my salesman and he got the all weather mats (f and R) and storage tray for $256 plus tax. All are MB with the MB logo. Nice heavy duty rubber quality and fit perfectly. PN 253-680-37-9G33 (f at $96.05), rear PN 253-680-38-03-9G33 (at $40.38) and 253-814-00-00 for the tray ($119.85). thanks for the pricing. do the rear mats go over the transmission hump like the weather tech? 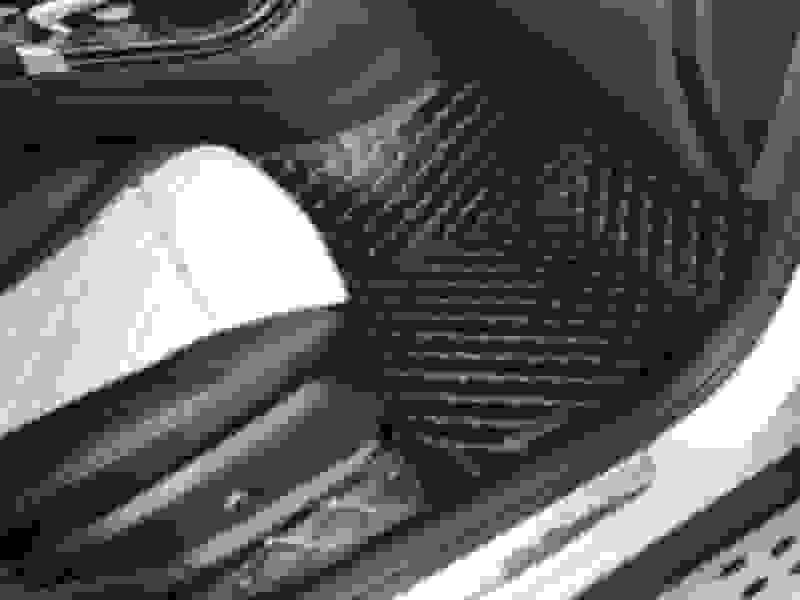 I got WeatherTech floorliners for my new GLC, both front and back. They fit perfect and cheaper ($160) than M-B rubber mats. 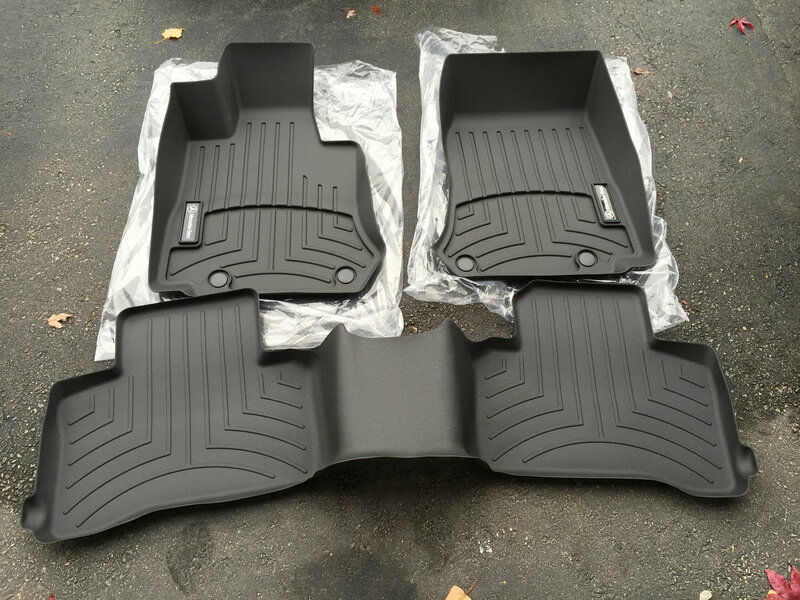 While at the dealer this week, noticed M-B rubber mats and it appers to be made by WeatherTech. i asked about the Cargo mat and he said the thought it was around $150 but he didnt look it up. 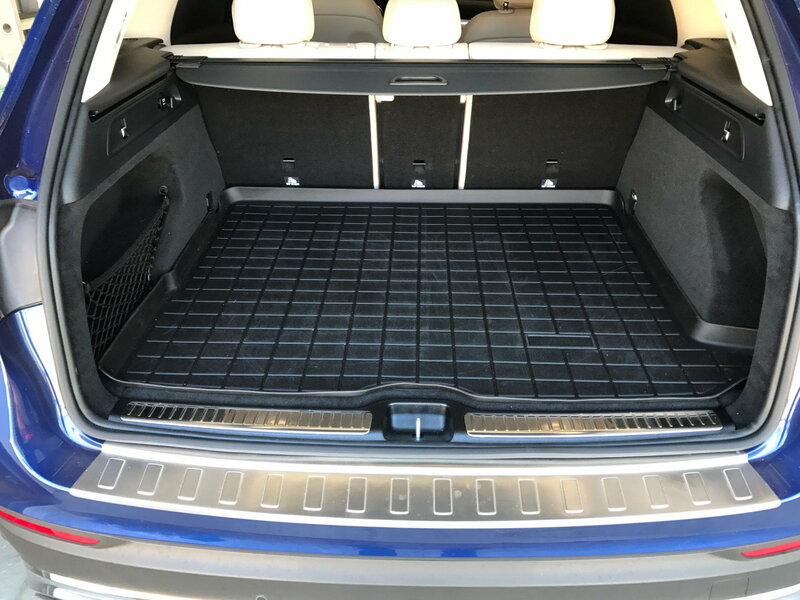 Here's a pic of the cargo mat from costco that I mentioned. $40 and easy to shape if you want to cut the edges off, but I kind of like how they go up a little to help protect the sides a bit for when my dog goes in. I tried the MB cargo tray and didn't like it. It didn't fit all that well and it didn't fill the right hand nook. I went with the WeatherTech cargo tray. The fit was much better and it extends into the nook. Last edited by FrogmanX253; 07-29-2017 at 03:17 PM. Question Frogman...since you've tried both the MB cargo tray and the WT, do either one have much of a smell? Some rubber/vinyl things like that can really stink. Also, is it grippy at all so things don't slide all over the place? BTW, that tray looks great in the pic. Thanks, the tray does fit very nicely and as you can set from the tray surface, it gets a lot of use! I didn't notice any smell from the MB one; but I only had it for half a day before returning it. Plus, I didn't think it was all that grippy. The surface seemed smoother than the WT tray. I've had the WT tray since early June and have not noticed any smell from it at all. 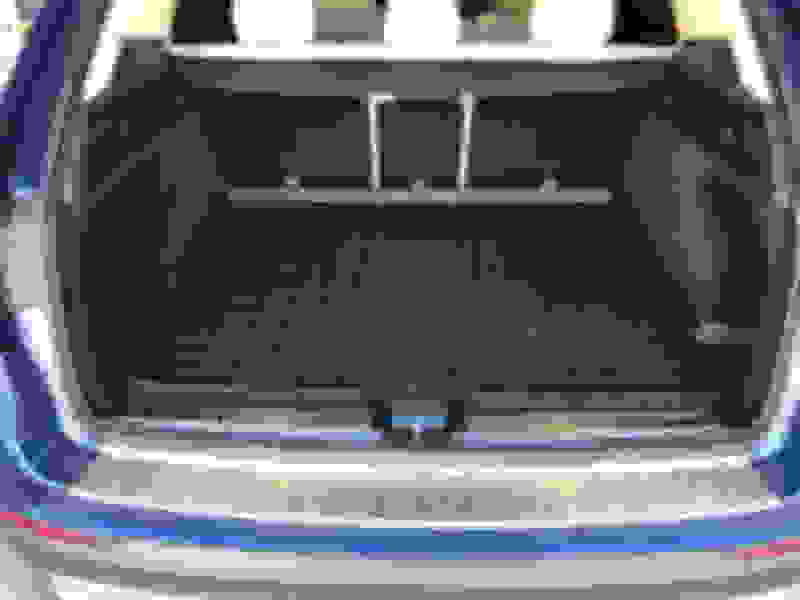 The WT tray surface is quite grippy; more than I thought it would be based on the WT web site pictures. It's not sticky at all, it just grips really well. I'm very happy with it. The wife even commented that things she puts back there don't slide around like they did on her old car and she's takes turns pretty aggressively. Last edited by FrogmanX253; 08-01-2017 at 12:27 AM. Thanks for the reply frogman. I was at a wedding out of town and missed it. Good to hear the WT doesn't smell. And grippy is good! One question...did you remove the WT logo? Looks like I see where it may have been. Like some others, I'm not a big fan of the prominent badge! Yes, once the mat was down, the logo didn't last 10 seconds. It peals off very easily. Resurrecting this thread - anyone have part numbers for the OEM logo'd, but made by Weathertech, liners for front and rear? We have the canada part number, but none of the numbers here seem to be USA. Ironically, Weathertech is 5 miles from me - but I don't like their loud logo and would prefer the OEM mats if possible. Unless something has changed, I don't believe Weathertech makes OEM/MB logo'd liners for the GLC. I looked all over the place for them when I ordered the MB all-weather mats earlier this year. I also wanted the WT liners, but NOT their loud logo. I went down this road to no avail. I tried some part numbers that were allegedly Canadian but as far as my dealer was concerned they were Greek. I bought the Weathertech. I've seen Mercedes Benz branded Weathertech mats for the GLA but not the GLC in the US. 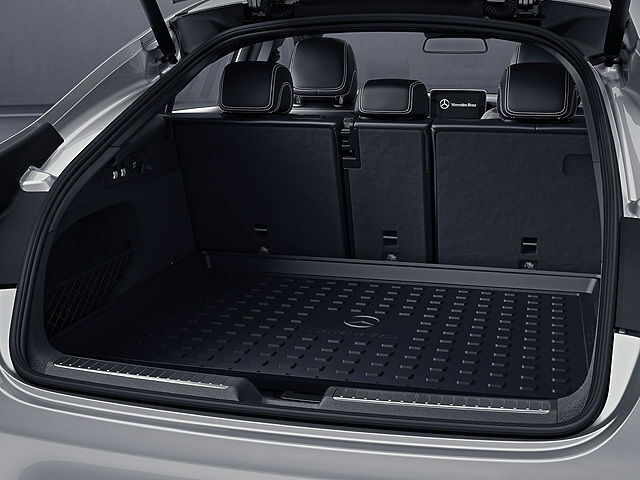 I'm currently debating MB vs. Weathertech for the cargo liner. I have the 2019 MB all-weather mats but noticed they are a bit different than my last MB mats from 2015. These are stickier and they no longer use the honeycomb pattern. @thescrod - look at post 26 (https://mbworld.org/forums/showpost....1&postcount=26) ... years ago these were available obviously as that person posted pictures of them. The issue there was these were bought in Canada and we don't have a proper MB part number. Searching manually through the parts site, I only find the old-style rubber mats, not these liners. I find it odd that WeatherTech who is so pro-America would make something only for the Canadian market. Having had the OEM ones in my GLA, I will definitely get another set. They fit so well and kept the crud in that it's a definite. I may do custom vinyl stickers on my laser printer to put over the WT logos. Thing is, from what I've read, the OEM ones are about 50% cheaper and if ordered online you save on taxes too. With WT in my backyard, I have to pay more than OEM and tax and shipping or go there to pick them up, which may yet happen. I was just given these exact same weathertec - MB branded liners thrown in with my new MY19 GLC Coupe. Looks great!. Sadly im in the Canadian Market also. The 6ix FTW! Last edited by Chrisk03; 09-26-2018 at 10:20 PM.